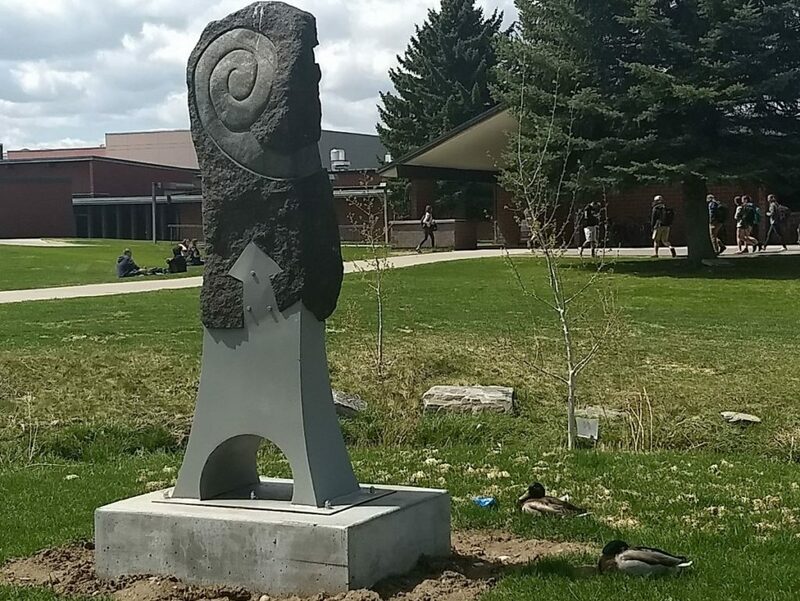 Bozeman sculptor Zak Zakovi generously donated 2 new works to the creek in 2017. Now installed, these pieces add tremendously to the campus aesthetic. Read about earlier additions here.